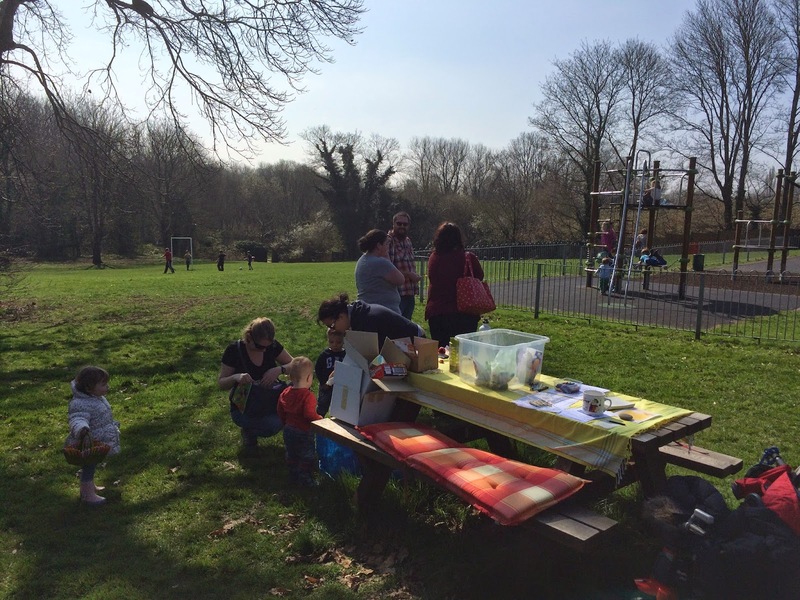 Today we had our first ever Easter community group event - but not a hunt as originally advertised. 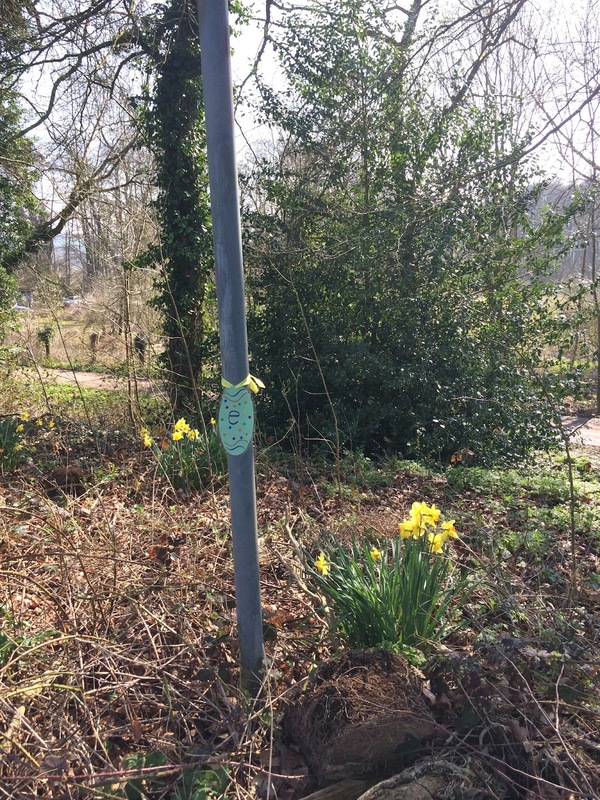 We changed it to a trail to avoid egg envy! 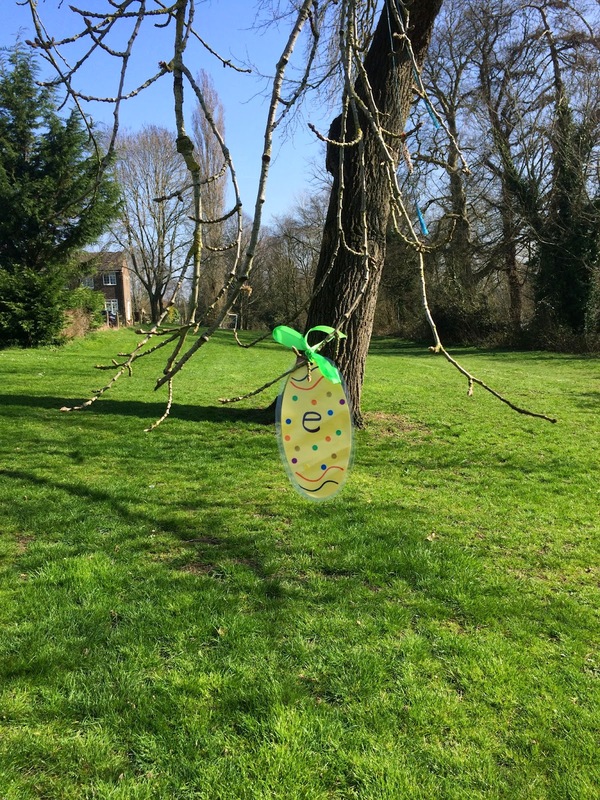 We had 'hidden' 11 letters around the park that our participants needed to find and then they had to make a phrase out of them, it was of course HAPPY EASTER! It looked like everybody who was there enjoyed it and it was certainly great to meet some new people as well! We had a nice turn-out but still so many eggs that everybody got some extra ones. And didn't we just have the perfect weather! Thank you to everybody who helped out in some way, be it in hiding the letters, contributing some eggs or other items! Save the date: as our group was formalised about a year ago, we have our first ever AGM coming up! It will be held on Saturday 9 May, 3 to 4 pm, at 10 Francis Gardens. Details are on our poster which you can download as PDF. 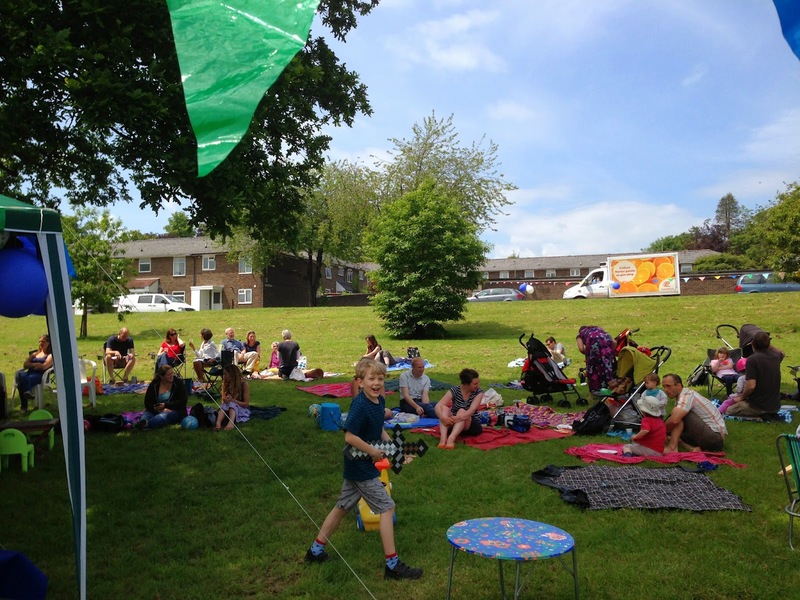 Over the last two months, Jane, Lynne and I have been very busy with planning our 2015 programme and creating a new newsletter (download as PDF) which includes again a Big Lunch, Picnics in the Park, Get Active fitness sessions, but also a Treasure Trail and football! Soon the Events section on the website will be updated with this and paper newsletters are going to be distributed (you might even have one already). We are still in need of volunteers to take on small jobs related to these events during the year: please take a look on our Get Involved page if there is something you could incorporate into your busy life! We had some people come forward based on this list (thank you!!!) but we need more helpers! Preparation adds up and takes up quite a big chunk of our time. 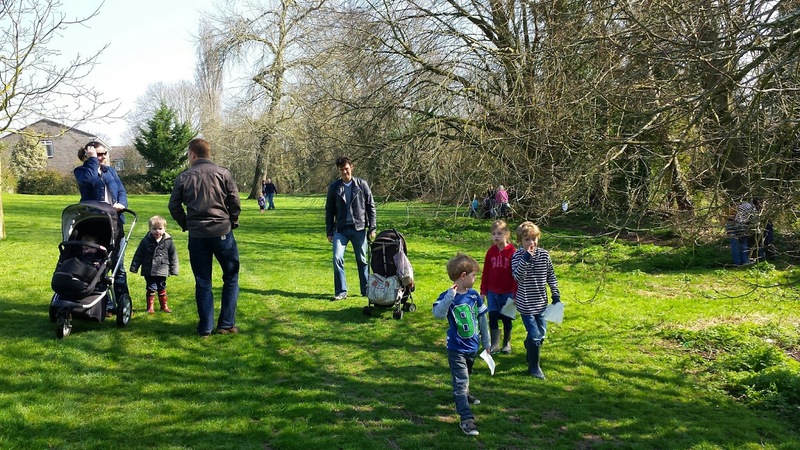 Talking about volunteers, they are needed everywhere: parents with children age six and up, our local 6th Winchester Scout Group is looking for more volunteers to run their Beavers and Cubs groups! 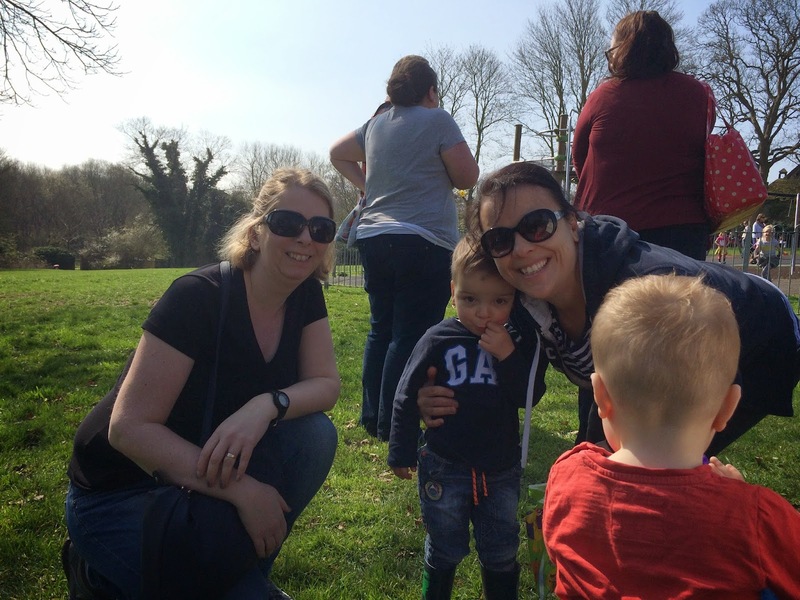 There are currently 260 children on the waiting list for Winchester in total but without more parents helping out the Scout groups won't be able to take them on. Find out more about the Winchester District Scouts. 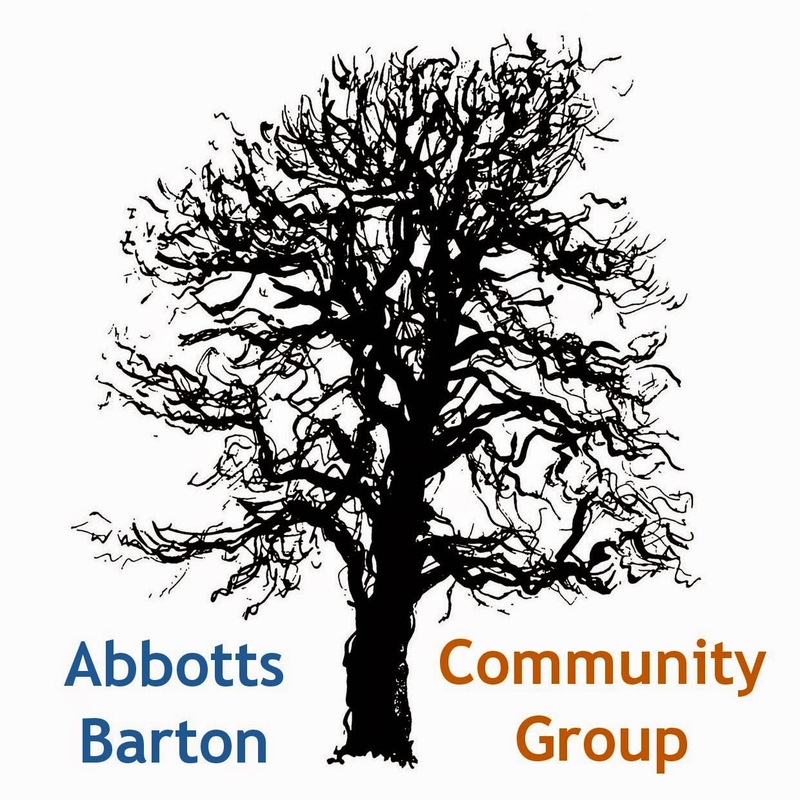 The website now has a map in the About section to show the extent of Abbotts Barton. In addition to that the Links section has been updated to include more useful local information for you. The next project will be a new membership page! Finally, have you heard about Fruits of Fulflood? They have been busy planting fruit hedges in Fulflood according to this article in the Hampshire Chronicle. Wouldn't it be nice to get something like that for Abbotts Barton too?